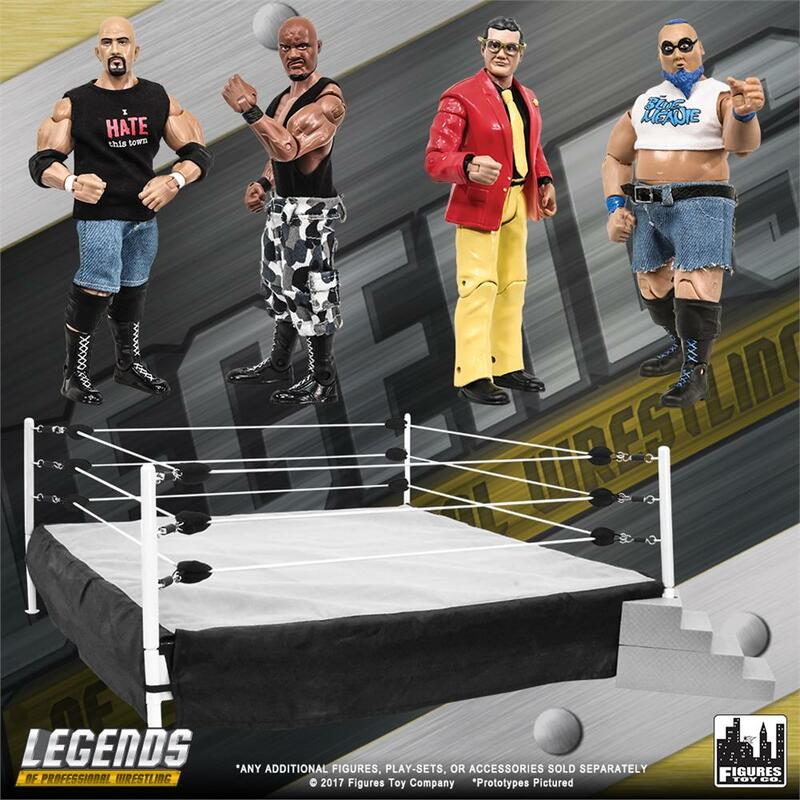 Comes with our authentic scale Figures Toy Company wrestling ring along with 4 of our most popular loose Legends of Wrestling action figures! Includes The Blue Meanie, Jim Cornette, PJ Polaco & New Jack all packed loose in factory bags. The ring measures an incredible 21.5 x 21.5 inches! Features cloth turnbuckles and a high quality ring mat with added foam. Also includes one free ring step (more sold separately). This ring goes great with all of your past and present wrestling action figures.